While Sicily has supplied the whole world with its citrus fruits - its most valuable treasure - at the Acireale Research Centre for Citrus Farming and Mediterranean Crops, a new citrus fruit was created just over ten years ago: the tacle. 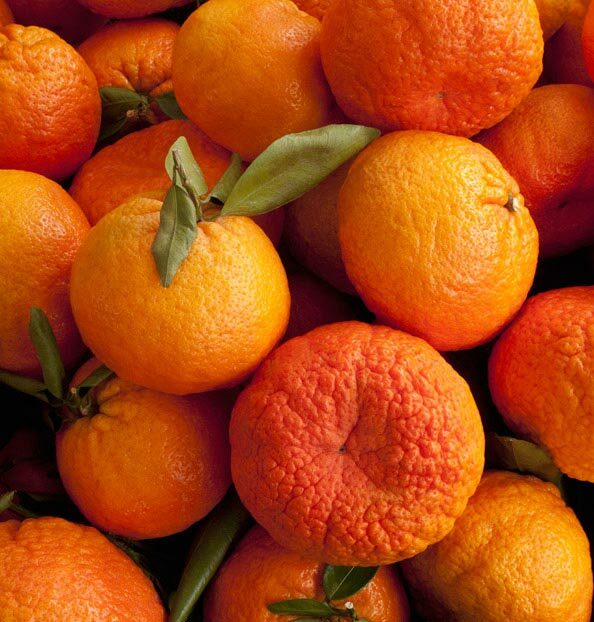 The tacle looks like a large mandarin or a slightly squashed orange and is actually a cross between an orange and a Clementine. To be precise, this hybrid derives from the Monreal variety of Clementine (which is in itself a hybrid) and the Tarocco orange. The tacle has a sweet taste and its flesh is very firm and compact. With segments that are completely devoid of seeds, the tacle has a shiny, bright orange peel. It is ideal for either eating as part of a meal or for squeezing, thanks to the generous amount of juice trapped in its flesh.